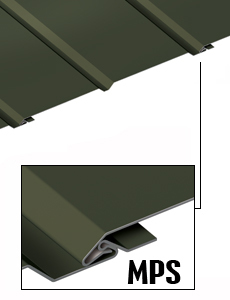 Rectangular leaning tile for siding. Concealed fasteners. Installation: Horizontally, vertically, aligned or in staggered rows, on open framing or solid substrate. Installation : Horizontally, vertically, at 45 degree, aligned or in staggered rows, on open framing or solid substrate. Concealed fasteners. 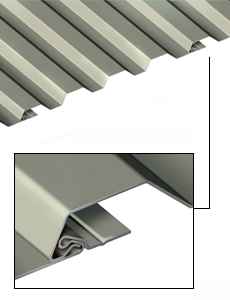 Matériel : Pre-painted steel and aluminum, PVDF finish Kynar® 500 or Perspectra Series™, more than 40 available colours. Also available stainless steel, copper and Galvalume®. High resistance finish. Triangular shape tile for siding. Concealed fasteners. Installation : Horizontally, on open framing or solid substrate. Standard covering surface : 24″ width 20½″ height (1.70 square feet). Panel for siding. Concealed fasteners. 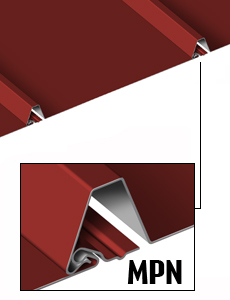 MFN Series: 8″, 12″, 16″ width, length cut to customer specifications, minimum 2′-8”. 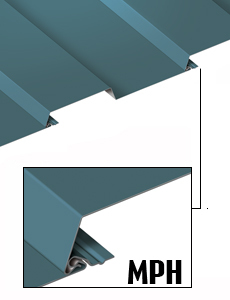 MFR160 Series: 16″ width, length cut to customer specifications, minimum 6′. Also available in perforated patterns (see the section Perforated panels). 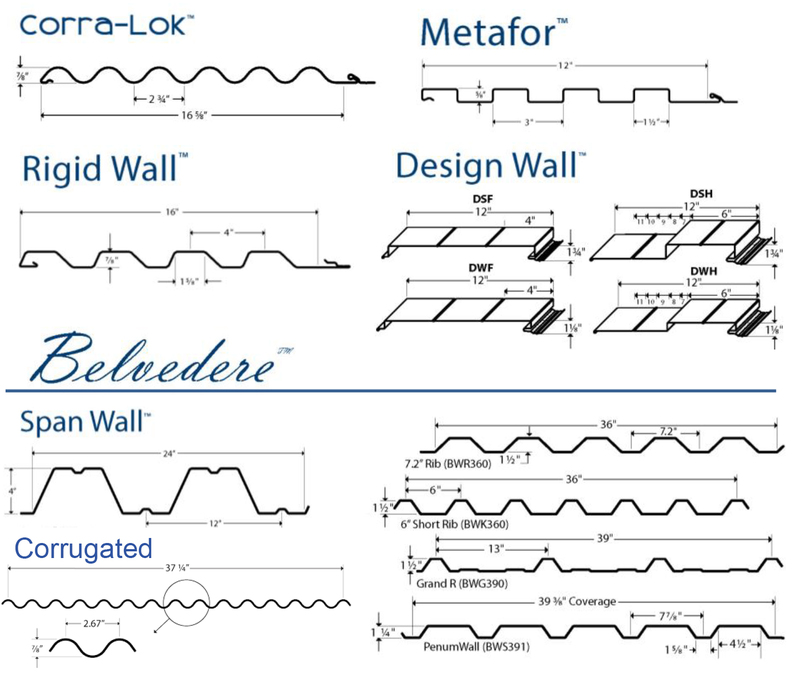 Rigid Wall II MFN Series (10 different profiles available). Fastener System compatible with Metafor, Corra-Lok, Multi-Design. Panels for siding and roofing. 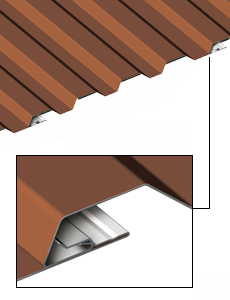 Siding installation : Horizontally or vertically, on open framing or solid substrate. Dimension : 8 to 12 inches width, length cut to customer specifications, minimum 2′. 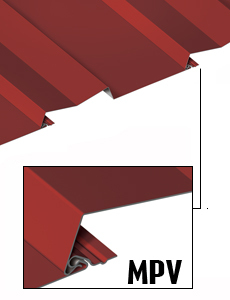 Height: 1 ¼ inch (MPN, MPH, MPV, MPW) ⅜ inch (MPS). Siding and soffit panel. Concealed fasteners. Installation : Horizontally or vertically , on open framing or solid substrate. 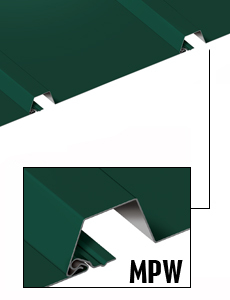 Dimension : Multiple width (see the drawings below), length cut to customer specifications, minimum 1′-6”. 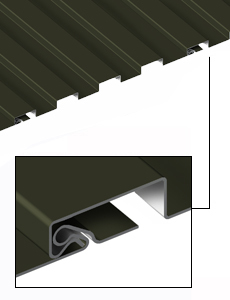 Siding and roofing panel. Concealed fasteners. Dimension : 16 5/8″ width, length cut to customer specifications, minimum 6′.